Yeah Bassam, let’s grab a barrel of it, pour it all over mediocrity and set fire to this motherfu- Whoa whoa whoa. Hold on, Arson Wells. While I appreciate your zest, that’s not the analogy I was going for. Stay with me. For the places it gets us to, gas is absurdly cheap, always available and even smells good – in a rebellious kind of way. But to help us expand worlds and shrink distances, we have to turn the ignition. At that point, your tires, safety belt, carburetor, brakes, axles, windshield wipers, transmission and lights all have to come into play. You have to put the car into action. Inspiration is a lot like that. Without it, doing anything meaningful is impossible. And thankfully you can find inspiration online at every turn. Quotes over landscape photos, Pinterest, Instagram. You can save photos, share links and like whatever it is that tickles your fancy. 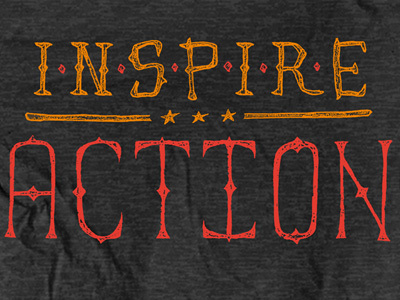 But inspiration is only as good as the action it stirs. Inspiration’s purpose is to fuel personal change, to convert potential energy to kinetic energy, to be the catalyst for progress, even if that progress is peace and understanding. Once you have enough inspiration in your tank, take the damn thing out for a spin. What happens when you’re running low on inspiration? Like gas stations, make sure the good bits are readily available for mental refueling. Don’t just pin them or promote them. Print them and post them. Inspiration is cheap. Action is value.